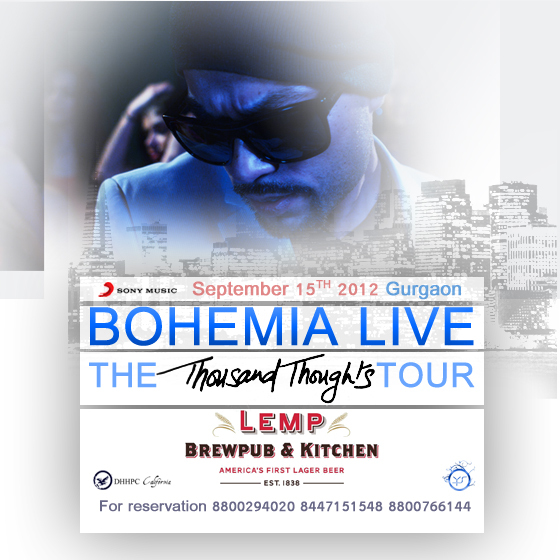 Bohemia kicks off the ‘Thousand Thoughts’ tour with his first live appearance in Gurgaon, India on September 15th 2012. According to Bohemia who stated, “This album is for my fans, not the so-called industry” the tour will be limited to selected shows and interview. Jasmine Sandlas, who appeared on track ‘Na suno’ is expected to join Bohemia on the tour. You can follow Bohemia on Twitter [@iambohemia] for more updates.